TOP QUALITY: These are Some of the Highest Quality Toy Magnets you Will Find Anywhere You can tell by the dark grey shiny sheen to them. 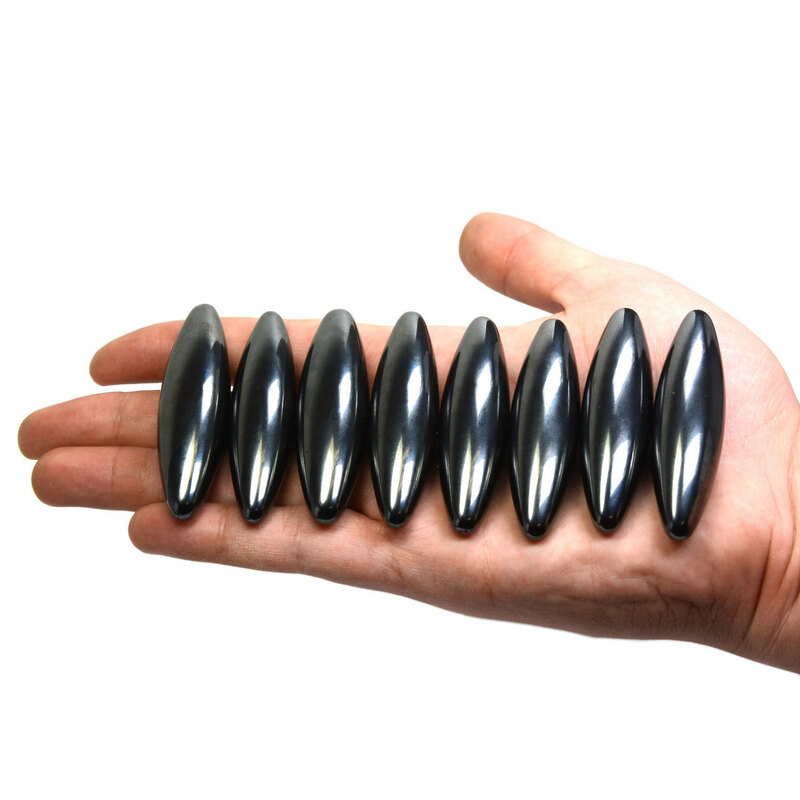 Rattlesnake Eggs Magnets magnetic toys are two finely polished, super high powered, oval shapes magnets. These super strong magnet toys are a lot of fun and you can even do cool tricks with them. Put one magnet on top of your desk and move it around by holding the other magnet underneath the desk. Toss each magnet into the air and they will create a rattling sound (thus the name for these magnet toys is “rattlesnake eggs”) as they bump into each other. Get your own set of Rattlesnake Eggs, Magnet Toys and reveille your magnetic personality. These amazing magnets are huge amounts of fun, incredible for dexterity, and are an awesome pressure reliever. Incredible to play with, simple to bring along with you. Extraordinary for birthday take home gifts or other present giving events. These fun magnet toys produce a humming or rattling sort sound when played with. These ground-breaking magnets are huge amounts of fun, incredible for hand to eye coordination skills, and are a phenomenal pressure reliever. To utilize: Place magnets close by and keep separate with your thumb. Delicately hurl the toys into the air. The common attractive dismantle will pull in them to each other bringing about shifting sounds dependent on how they are hurled. After me training you will most likely get great magnetic toy "singing" sounds from these addictive little stones. Attractive building toys are among the most prominent STEM development alternatives for a variety of reasons. They are super strong magnets yet not dangerous for 5 year olds and above. There are no batteries required—magnets are always 'on'! In addition, they straddle various essential building ideas, for example, plan, structure, geometry and are a phenomenal venturing stone to progressively complex discussions around material science, physics and gadgets.